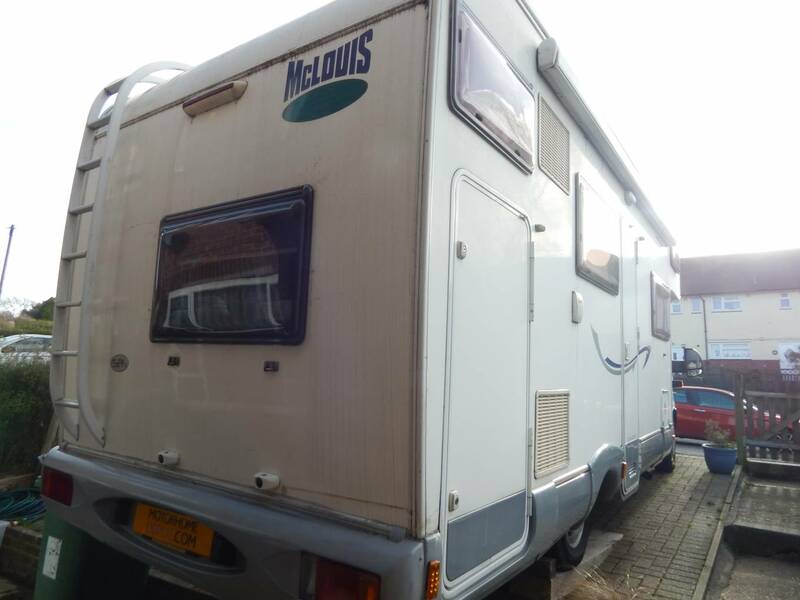 Full MOT on sale, 7 berth, 6 belts with over cab and rear bunk beds configuration. 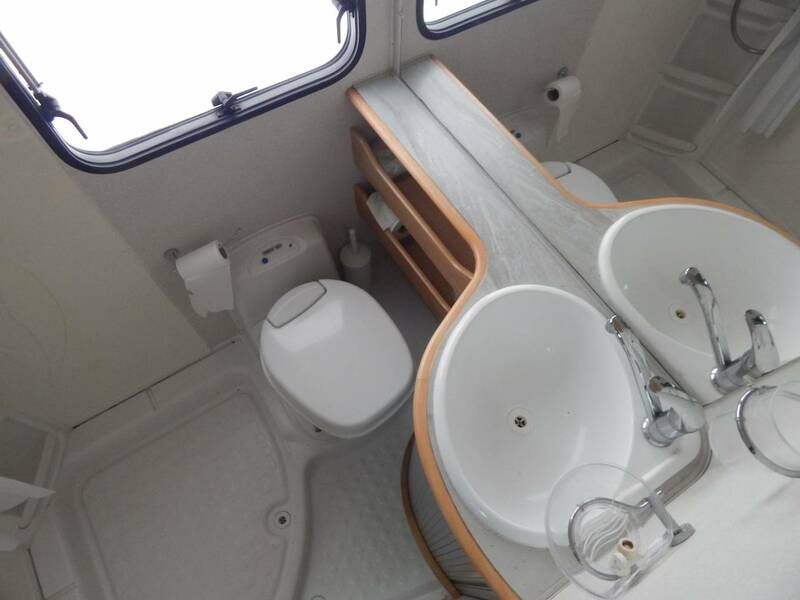 There is plenty of room for travel, and for living both inside and immediately outside the motorhome. 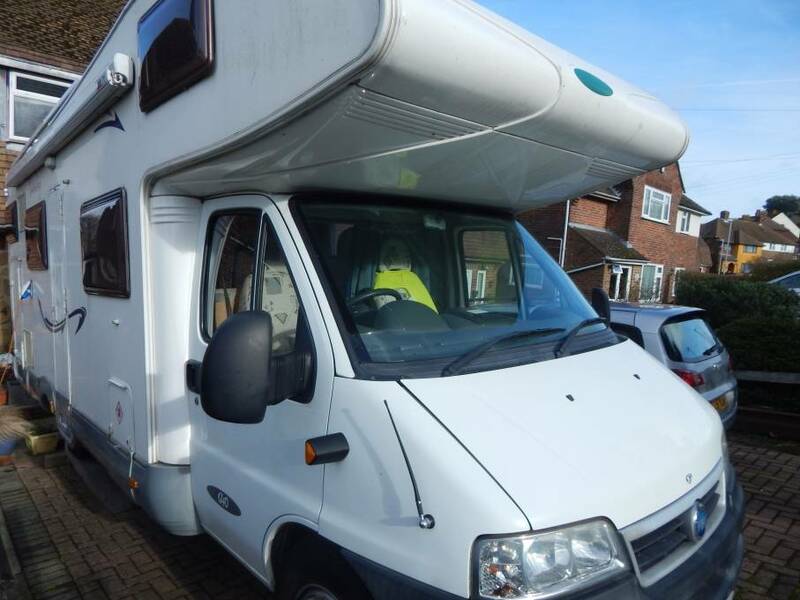 A versatile, roomy and well presented and maintained vehicle. There is a large awning and sides, to make a garden room. The lower bunk can be raised to provide a large garage space, suitable for bikes or larger items. 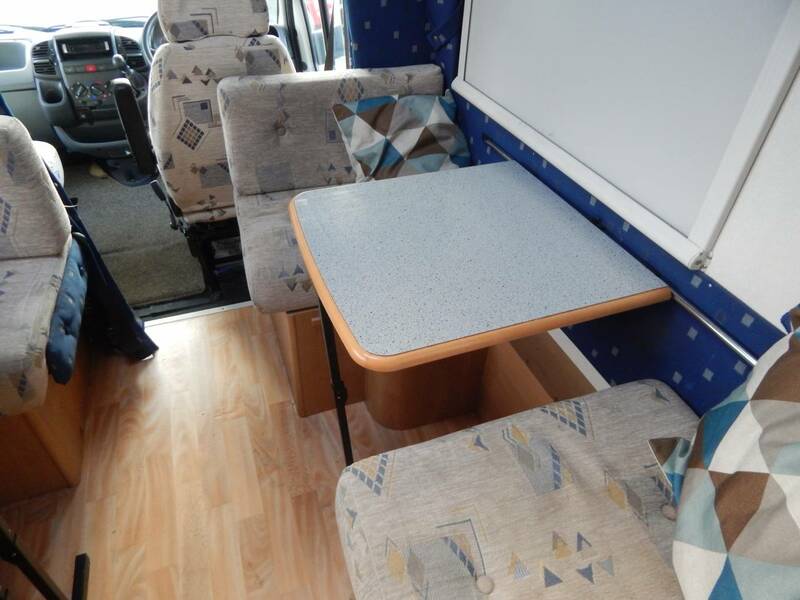 The bunk down option still provides full width storage for shorter items such as outdoor tables and chairs. 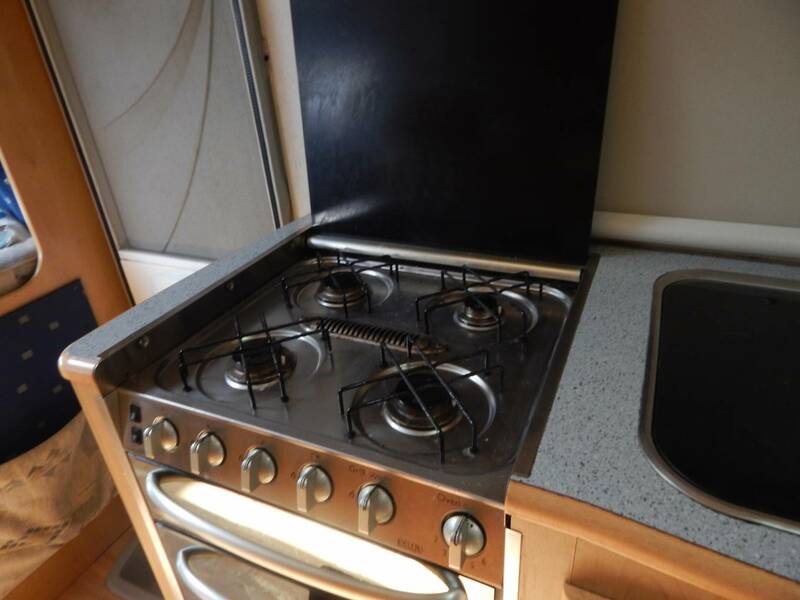 A full kitchen, tall fridge freezer, and plenty of storage throughout mean that the family can be well catered for and their luggage can be stowed away. The over cab bed is a full king size item. It has a privacy curtain It also has a sky light, and side window, together with reading lights and stowage cubbies. 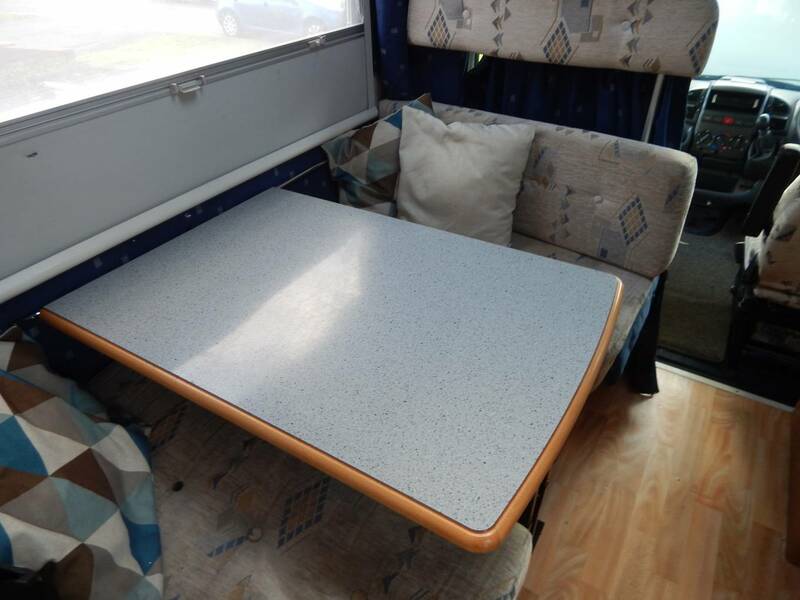 The rear transverse bunk beds can be made private, the lower one has a tambour roll up blind useful for when it is raised and the garage is in commission. The upper one has its own privacy curtain. The washroom is of the wet room variety, but there is a shower curtain to section off the shower from the toilet area. 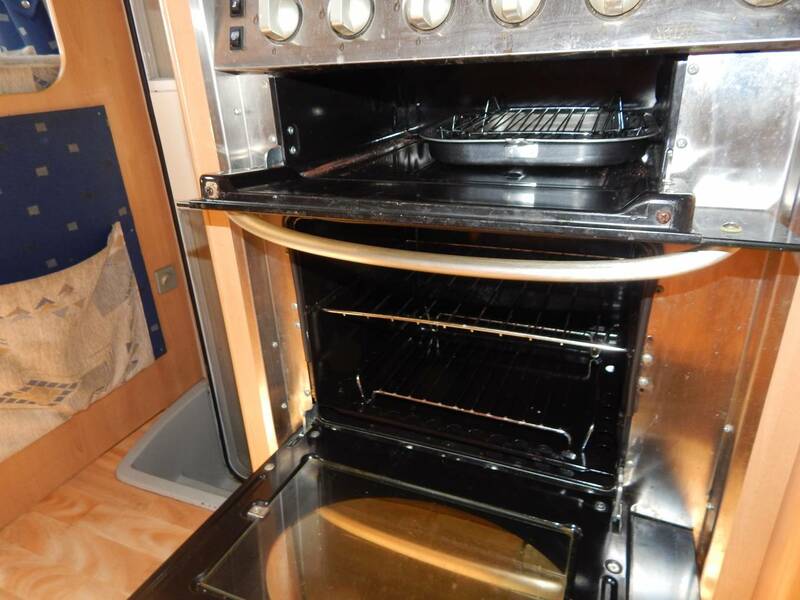 The gas blown air heating is from Truma and does a very effective job. There is a status aerial, which is simple to align manually and reportedly supplies a good signal to the TV that is installed. New front tyres, a cambelt within the last 3 years, a clean underside with a full sized spare wheel being under slung. The larger 2.8 litre TD Ducato engine option allows for relaxed motorway speed cruising combined with a reported longer journey return of around 30 MPG. 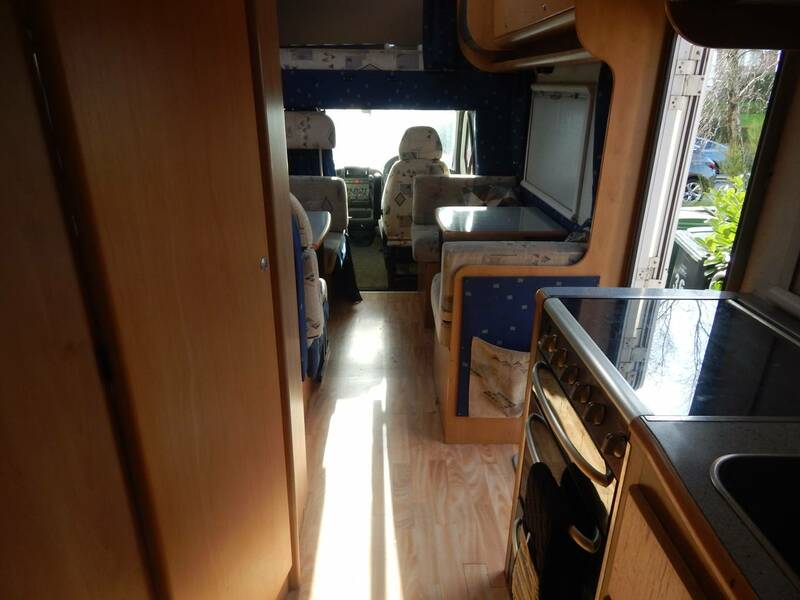 This motorhome is not being used as much as the owners would ideally like and is therefore offered for sale. It is due its spring clean and a full MOT will be provided on sale. The vehicle status report shows all green, and the MOT history indicates no outstanding advisory matters needing attention. 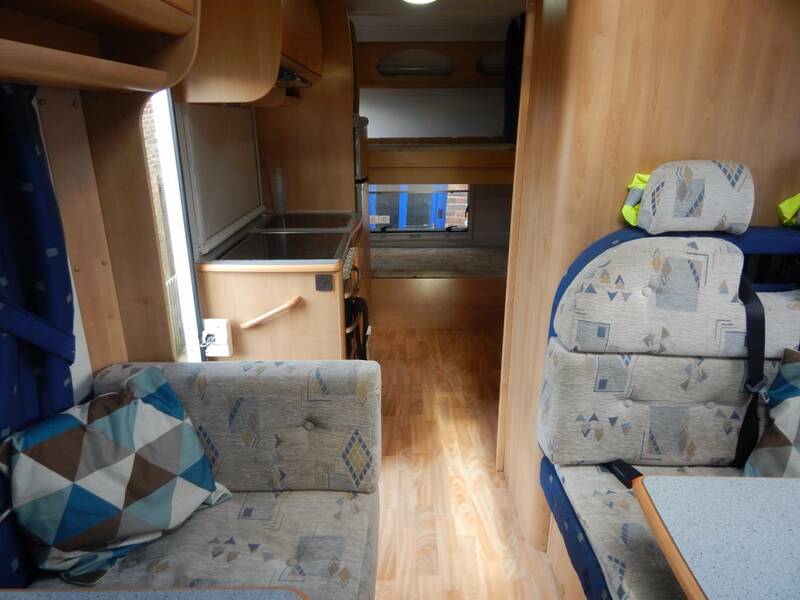 A full picture file is available on request, showing the underside, engine bay and other relevant shots of the motorhome to enable a fuller impression to be garnered.